I'm considered by many to be the best "item creation" author available to WoW private servers. I'm probably the most experienced item creator you'll ever meet. I have made over 1700 items to date. I plan on making T8 Badges and T8 Armor for each aspect (all three sets for Druids for example). I will be putting in a lot of work so I hope it's worth it. We will have lots items based off WoW lore, expect some powerful, yet balanced, gear. Expect T8 to be based at item level 254 (The equivalent jump from T5 to T6.5 (SWP). 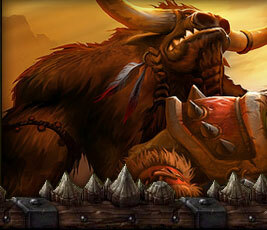 Our lore items will be based off information through the entire story of the Warcraft Universe. for now means "forever" in New Zealand i guess? no... for now means until I can be bothered staying on my PC for at least 24 hours pumping out items. And yes, this is the Articus from WoW-V.
Do not unleash judgment unto those that is unequal to what you can not judge upon yourself.